Will Our Courts Defend Orphans? R.J. Rushdoony: 00:01 Will our courts defend orphans? This is R.J. Rushdoony with a report on our threatened freedom. R.J. Rushdoony: 00:09 An old story, which may or may not be true, tells of a man who murdered both his father and his mother and then asked the judge to show mercy on the grounds that he was an orphan. Well, that kind of gall is all too commonplace today. As a matter of fact, some men who had murdered their parents were claiming and getting Social Security survivors’ benefit checks. This kind of drain on Social Security was ended in January 1982 when newspaper publicity called attention to two glaring cases of such benefits. One such murderer collected $21,500 on parole. Another collected about 8,000 in survivors’ benefits. R.J. Rushdoony: 00:57 That, however, has been stopped by the federal government, or at least for the time being. If some claimant goes to court demanding survivors’ benefits from Social Security after murdering his or her parents, our courts have proven that they are silly enough to hear such arguments. Everyone has their day in court these days, sometimes at the taxpayers’ expense, except the taxpayer. He is too busy earning a living and paying his taxes to have the time or the money to go to court. However, we can comfort ourselves with a thought that, last year, some Social Security money did go to orphans who murdered their parents. R.J. Rushdoony: 01:43 Our tax money went into publishing pamphlets being distributed by the Federal Consumer Information Center. From that agency, you can order such important literature as Dennis the Menace Coping With Family Stress or How to Adopt a Wild Horse or Burro. Now, all you folks who want a wild horse or burro in your home should feel grateful that Washington is thinking of you at your expense, of course. Come to think of it, this station and I would be very happy to think of you for the same kind of money. R.J. Rushdoony: 02:21 Well, I shouldn’t be sarcastic. After all, the federal government is very thoughtful and concerned about all of us. To keep us from doing foolish things, it takes away a big chunk of our money each year, which is downright thoughtful and neighborly, but this is not all. According to an old saying, in the spring, a young man’s fancy turns lightly to thoughts of love and, for that matter, a middle-aged or a older man’s fancy can get a little to fanciful in the spring. Our thoughtful federal government keeps us men from making fools of ourselves. From December 31 to April 15, the Internal Revenue Service keeps us so busy trying, first, to figure out our taxes and, second, how to pay them and still eat that spring has come and gone before we have had a chance for foolish thoughts or actions. R.J. Rushdoony: 03:22 Meanwhile, at any rate, HHAS Secretary Richard Schweiker has halted the previous policy of allowing people who murder their parents to collect survivors’ benefits on parole. Hopefully, if the courts do not interfere, Schweiker’s decision will stand. Let us hope that no agency or committee begins an investigation of Schweiker for showing too much sanity in government. After all, too many more decisions like Schweiker’s and people who expect sanity everywhere in the federal government, and the whole Potomac operation will go down the tubes. 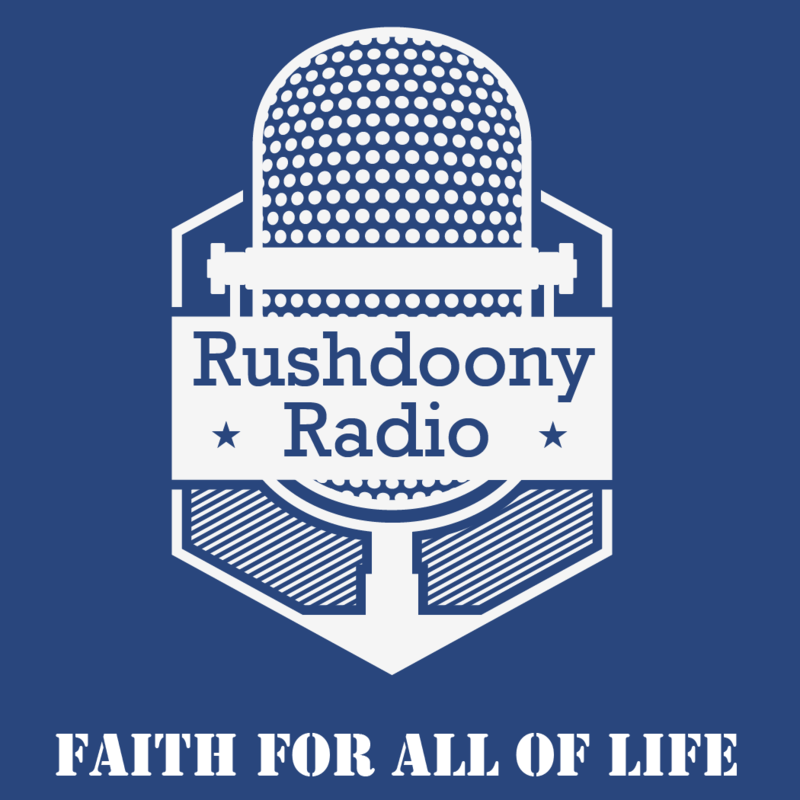 R.J. Rushdoony: 04:06 This has been R.J. Rushdoony with a report on our threatened freedom.